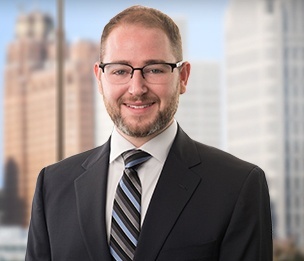 Michael P. Fannon is an associate in Dykema's Bloomfield Hills office. Mr. Fannon focuses his practice on corporate and transaction matters. He has assisted private equity clients in middle market merger and acquisitions with experience on both the buyer and seller sides including credit agreements, membership interest purchase agreements, complex due diligence for both national and international clients, as well as structuring strategy. He also maintains a healthy commitment to pro bono practice. Mr. Fannon graduated with honors from Michigan State University College of Law and received his B.S. from Wayne State University. In law school, Michael was active in Moot Court, including serving on the Board and qualifying for the National Championships. He also served as a Student Attorney with the MSU Civil Rights Clinic litigating in Federal Court, including authoring several successful appellate briefs in Federal and State courts. Mr. Fannon was a Teaching Assistant to Professor Bruce W. Bean for Business Enterprises, and the recipient of the 2016 Ralph M. Freeman Award from the U.S. District Court for the Eastern District of Michigan. During the summer of 2015 he also served as a Student Attorney at the Michigan Innocence Clinic. Before law school, Michael was a Development Associate with the Charles H. Wright Museum of African History.